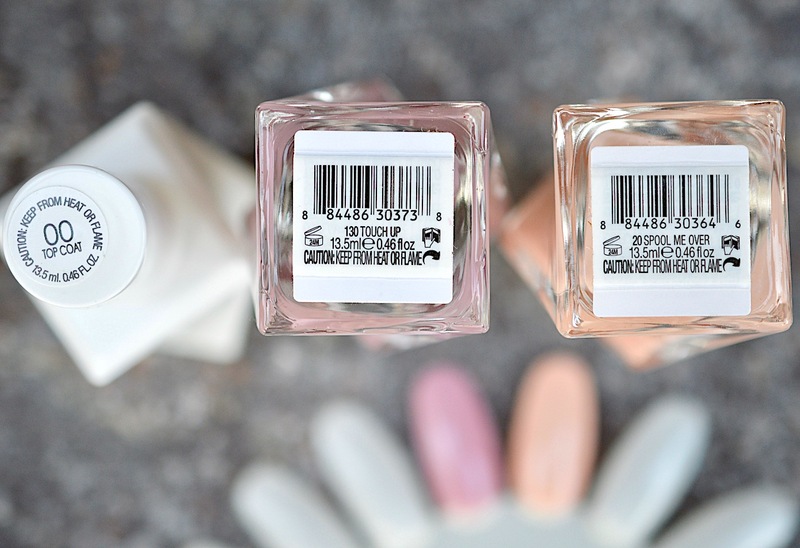 I got to try three bottles from the collection: Essie Gel Couture Top Coat ($10.95) - this is incredible, #130 Touch Up ($10.95), and #20 Spool Me Over ($10.95). 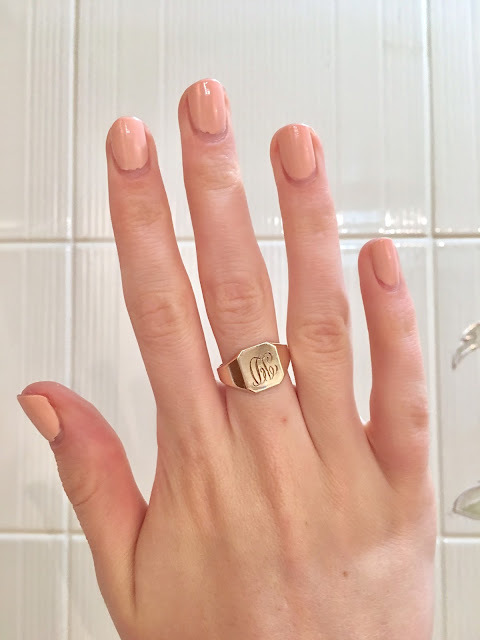 I've used Essie for 10 years now, and I'm always impressed by their shade range. I find that some of their polishes will dry out faster than others, probably because their bottles only hold 13.5 ml, and most others are 15 ml. Regardless, I've always kept iconic Ballet Slippers in my collection and I've even repurchased standout shades like Splash of Grenadine and Lapiz of Luxury from the 2010 Resort Collection. I'm beyond pleased with the Gel Couture range, which promises 14-day wear with impeccable gel-like shine. The twisted brush shown above helps manage the flow of polish into the brush, and the curved, flat bristles make for extremely easy application. Removal is standard, no soaking required. The quick-drying top coat seals in colour and magnifies shine for an ultra-glossy finish. This line of nail polish gets a 5 star rating from me. Shop the full Essie Gel Couture collection online here at Nail Polish Canada. They have free shipping over $19, so go wild!